A Virginia middle school teacher will continue to reach for the top during tonight’s battle rounds on "The Voice." Born and raised in Virginia Beach, Brandon Showell, 27, sang for Royal Caribbean Cruise Lines for eight months before finding his way to Kenmore Middle School in Arlington, where he teaches English. His students were unaware and surprised to discover his vocal talent. "I live two different lives ... when I’m in class, when I’m in school I’m Mr. Showell. I am serious and I’m not singing all over the place, but my kids quickly found out this is what I do as well. I sing," said Showell. Showell continued to perform, teach voice lessons and study with vocal coach Sam Shin of El Melody Vocal Studio before auditioning. 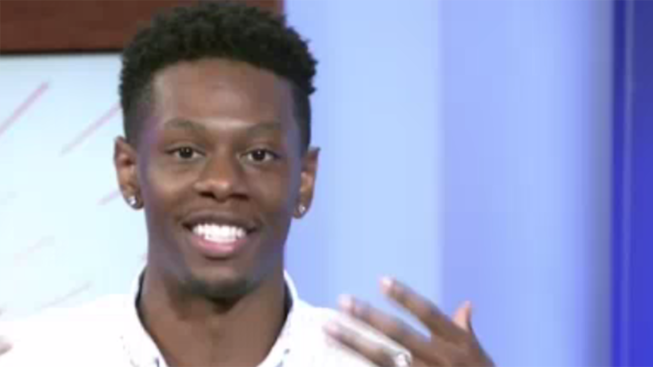 Arlington, Virginia, middle school teacher Brandon Showell was a contestant on NBC's season premiere of "The Voice" Monday night. 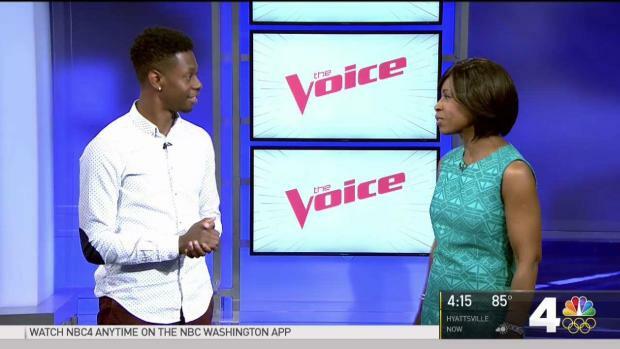 He spoke with News4's Pat Lawson Muse about his singing and why he chose "Team Adam." This is not the first time Showell has been featured on a competitive singing series. Although eliminated, Showell and his high school vocal group were contestants on Season 1 of Fox’s "The X-Factor" in 2011. The George Mason University graduate recently married after his blind audition in July. Showell mentions on his website that his wife, Perla, is very supportive of his singing career, which he ultimately wants to share with the world. “I’d love to do this full time. I want a record deal. I would like to tour and show my wife the world and giver her the opportunity to do that and share my gift through music”, Showell told NBC4’s Pat Lawson Muse.